A NJ metal stamping company contracted with PAC to develop a LabVIEW based system that would monitor the quality of welds made on the stamping machines. Two spot welds are made each second. 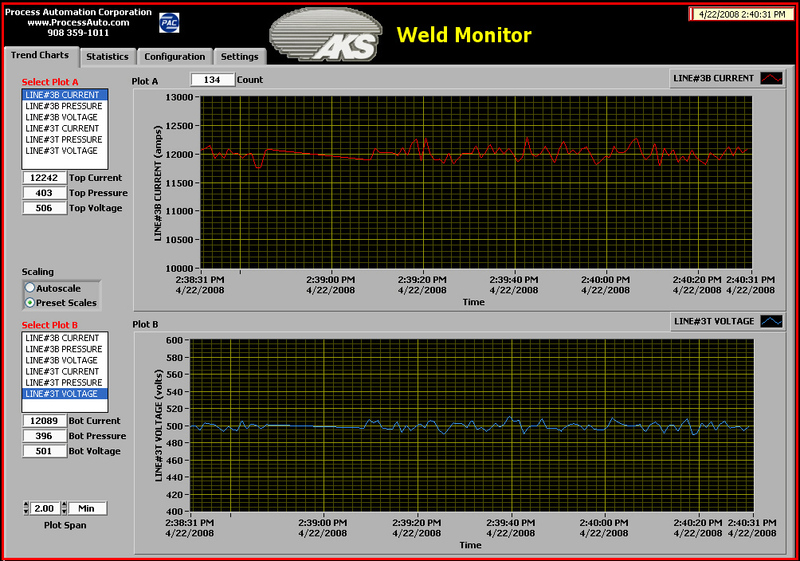 The before and after thickness of each weld is measured, using laser based distance sensors (accurate to 50 microns). 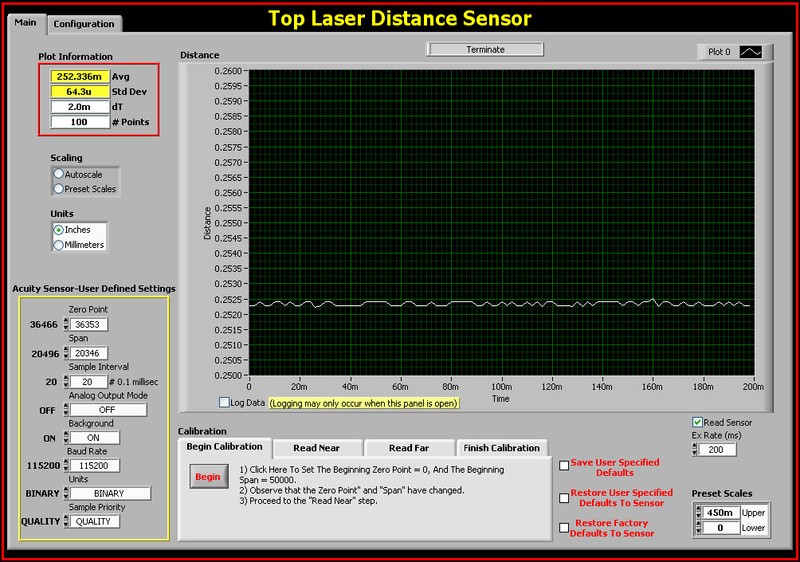 The welders and the laser sensors communicate to the LabVIEW based monitoring program via a serial port connections. The PAC TrendSafe-SCADA platform was used to develop the monitoring program. The monitoring program continually saves the following variables to the Historian data base and to an Excel compatible tab delimited text file: weld clamping force; voltage, current; pre weld thickness; and post weld thickness.